Alison McGirr is an Irish Australian actress who divides her time between both countries. After graduating from QUT with the honour of receiving the prestigious Jennifer Blocksidge Bursary for Most likely to succeed, Alison produced and starred in ‘The Interview’ for Tamarama Rocksurfers. She is known for the role of Molly on Home and Away and has had guest roles opposite Josh Hartnett in Showtimes ‘Penny Dreadful’ and will soon be seen on the History Channel’s ‘Vikings’. Her career on stage has seen her play Masha in ‘Three Sisters’ for Factotum Theatre, Robyn 33 in ‘Colder’ for LaBoite Indie and Stumbles in ‘Set. The Play’ for NIDA Independant, amongst others. 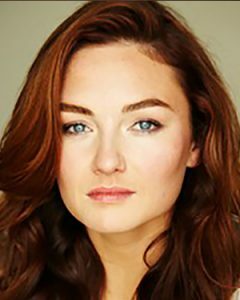 Alison is part of a select number of actors who are taking part in The National Film and Sound Archives ‘Heath Ledger Young Artists Oral History Project’.